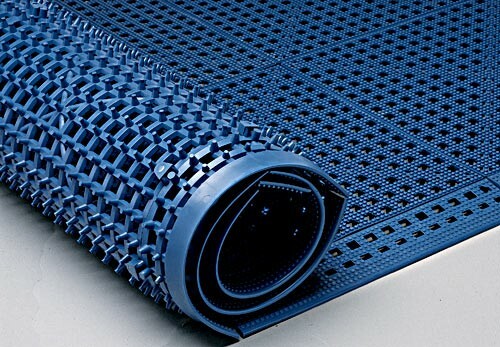 Dri-Dek Interlocking Tiles - Dri-Dek Matting | Mats Inc.
12" x 12" interlocking modular tiles for those areas where safety and comfort are critical. 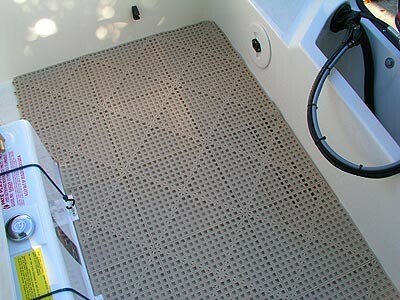 Open design allows water and debris to fall through the tile and out the drain. Tiles snap quickly together and can be easily trimmed to fit wall to wall applications. Perfect for showers, saunas, locker rooms, or any work station. Contains Oxy-B1 vinyl to inhibit growth of mold, mildew, and bacteria.